Chandelier Wrought Iron Crystal Chandeliers Dressed With Icicle Crystals! H14" W11"
Product prices and availability are accurate as of 2019-04-03 09:56:41 EDT and are subject to change. Any price and availability information displayed on http://www.amazon.com/ at the time of purchase will apply to the purchase of this product. 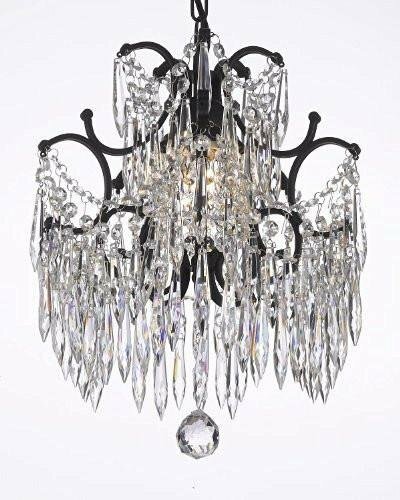 100% Crystal Wrought Iron Chandelier. A Great European Tradition. Nothing is quite as elegant as the fine crystal chandeliers that gave sparkle to brilliant evenings at palaces and manor houses across Europe. 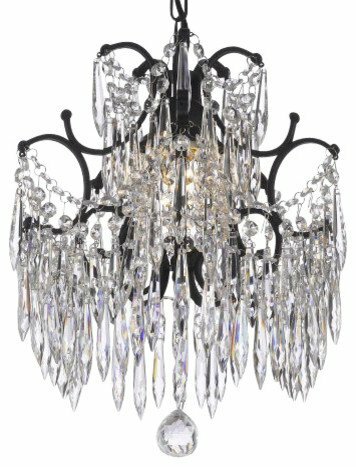 This beautiful chandelier from the Versailles Collection has 1 light and is decorated and draped with 100% crystal that capture and reflect the light of the candle bulb. The frame is Wrought Iron, adding the finishing touch to a wonderful fixture. The timeless elegance of this chandelier is sure to lend a special atmosphere anywhere its placed! 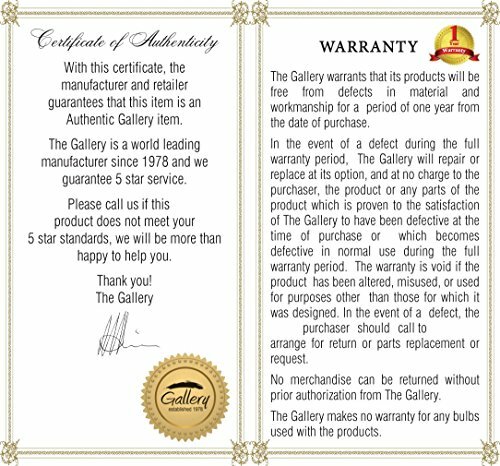 H.14" W.11" 1 LIGHT This item also works with energy efficient bulbs, halogen bulbs, compact fluorescent bulbs, LED bulbs etc (not included).